Suzuki has unveiled the latest version of its QuadSport Z50 fun bike, offering the very best in performance, safety and reliability for budding motorcyclists. Suzuki's 2009 LT-Z50 fun quad will arrive in Australia in the coming weeks. 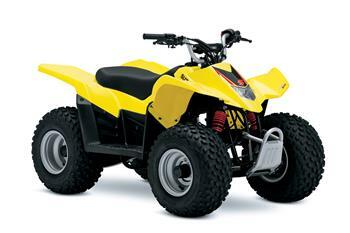 The stylish and high-quality LT-Z50 is an easy-to-ride and safe way for kids to have fun on four wheels. Suzuki Australia is set to introduce its first-ever four-stroke mini-ATV with the upcoming release of the all-new LT-Z50 QuadSport.